Funny things happen when you turn 100. First, you reflect on the past, where you’ve come from, what you’ve become. Then, you start to look ahead. Look at the future. Look at the “next 100”. That’s what we, at Watson Gloves, did this past year. We patted ourselves on the back, we celebrated and oh my, we had a great party. But then we looked around, at the world, and especially at ourselves. What will our legacy be? What are we, giving back? Suddenly the state of the planet and its sustainability became something that we needed to focus on, as a business. It certainly can’t all be about bottom lines, profit and growing market share. Sure, we want to be successful, but we want to do so in an ethical way. We, as a company, need to do whatever we can to stop this alarming thing called climate change. a. Recycling everything we can, reducing our waste and cutting down on our carbon footprint and even composting our lunch leftovers. We created a position for Corporate Social Responsibility to keep our team focused and on track. Progress on our green initiatives will be ongoing; it will never be “done”. We will look to see how we can keep improving and our Watson team will be the key to the success of our green initiatives. Please keep checking back to see our progress. We are also committed to being philanthropic. This year we have partnered up with Wounded Warriors of Canada. The veterans give life and limb and need more support. We will support them by donating partial proceeds from some of our new products for Spring 2019. Our homeless and down-on-their-luck also deserve protection from the elements. We will give them gloves each Winter to keep their hands warm. Our staff will come together as a team and gather clothing and food to donate to local shelters to help out those that need it. Lastly, our staff will be given the opportunity to work for a charity of their choice on our time & on our dime. A Corporate Volunteering policy is now in place. This 100th year has given us the gift of reflection, we saw who we were, and what we wanted to become. For that we are thankful to our customers who have supported us over the years buying our gloves. We will continue to thank them while paying it forward. Watsons will Give Back. We are excited to announce that Watson Gloves has started our Kaizen journey. All of our employees have been trained and understand the Kaizen mindset, our executives have completed the executive lean program as well as 4 of our team members have completed the advanced Green Belt training program. Congratulations to Lee, Harm, Rebecca and Marlon for getting your Green belts! (shown below). Kaizen (改善) is the Japanese word for “improvement”. In business, kaizen refers to activities that continuously improve all functions and involve all employees from the CEO to the assembly line workers. We are committed to continuous improvement; constant improvements of products, processes and services, with the goal of improving product performance, customer service and workplace productivity. Thank you all for your continued support and we are excited for what the next 100 years has in store for us. 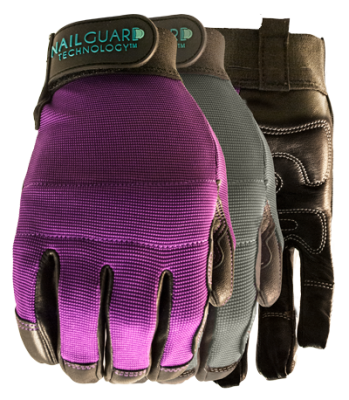 Our Corporate Label program is the perfect solution if you are seeking to customize a Watson glove with a company logo. With 100 years of glove experience we can add value to you and your customer by co branding gloves for all different industries. Tier 1 Private label branding is our most popular type of corporate branding solution. It is an easy 3 step process and our dedicated team will help guide you through every step of the way. How to choose the right leather glove for the job can be difficult to navigate through; but we’ve made it easy! 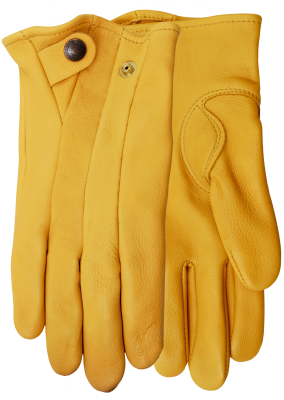 The first step to picking a leather glove is determining which application you are using the glove for. We have leather welding gloves, drivers, high performance, utility and even Winter gloves. In 2016, the European Standard for Protective Gloves (EN388:2016) added an impact test. This was the first time that a standard was used for impact resistance in the industrial market. Why was the impact standard created? There are a lot of gloves that claim they provide impact resistance and this can be confusing for an end user to navigate through. The impact standard was created because all gloves with thermal plastic rubber on the back of the hand were viewed equally when realistically one glove could provide you with more protection then the other. Having a back of hand standard will help educate customers about impact protection and which gloves are best suited for use in specific applications. What does the impact test involve? The new EN388 impact test is based on the EN13594:2015 Standard for Protective gloves for motorcycle riders. This test is optional and only applies to gloves claiming impact protection. The video below will show you our #025 Overtime glove being tested under the EN388 impact standard. You will start to see a revised EN388:2016 glove marking on all of our marketing material. A “P” or “F” will be found at the end of the EN388 shield for impact gloves that have been tested, shown below. The “P” stands for gloves that have passed the impact test and the “F” will be for the gloves that failed. We have started to test all of our impact gloves and under the new PPE regulation. Satra announced that all manufactures who wish to market their gloves as having impact protection have until April 2019 to have their gloves tested. We are happy to announce that #578 Drill Sergeant and #025 Overtime have been tested under the new impact standard and have passed. We will keep you updated on all of the test results on our other impact gloves. ANSI (American National Standards Institute) has also announced that they are working on an impact standard for the North American market which will be launched later this year. As Watson Gloves gets ready to head into our 100th year of business, we say goodbye to our 2017 fiscal year. A year where we achieved all of our corporate objectives as we continue to grow to be the most successful glove distributor in Canada. All of our departments are aligned and pulling in the same direction to give you, our valued customers, unsurpassed customer service, and innovative, high quality product. Our goal for fiscal 2018 is to develop procedural improvements by implementing automation and technology. By doing so, we will streamline efficiency and increase productivity to further enhance our already strong Watson experience for both our valued customers and all of our employees coast to coast. I personally want to thank each one of our 128 incredible staff members and celebrate them for embracing our Watson Core values: family spirit, integrity, fun and authentic to help make our company what it is. I also want to thank you, our loyal customer for your partnership with us to make Watsons the 100 year Canadian icon it has become.